One of the beautiful things about learning to play the harmonica is that you can get started straight away. 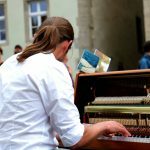 There are no special techniques you need in order to make a decent sound with it (providing its not a nasty toy one) – all you need to know is how to breathe! But if you want to become a good harmonica player, you should start by looking out for a decent instrument. 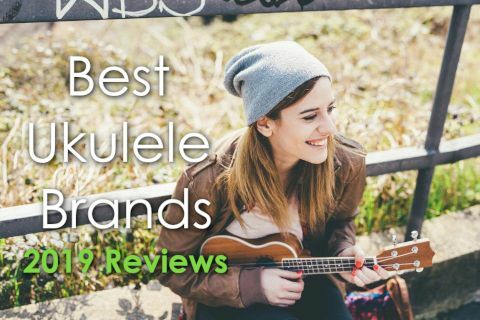 The best harmonicas for a beginner will give you the opportunity to experiment with the sounds. The harmonica is a relatively new instrument in comparison to other woodwinds. The oldest similar instrument is the Chinese Sheng, which operates on a similar, free-reed basis but looks entirely different. These go back to as far as the 14th century BCE. The harmonica itself would not come into existence until many thousands of years later, in the early 19th century. The earliest known is in Vienna sometime in 1824, and you will find that many tremolo harps are based on this early design. Some of these early manufacturers, such as C A Seydel and Hohner are still in business today. As an inexpensive, portable instrument it appealed primarily to the working classes – those who couldn’t afford expensive pianos, brass or stringed instruments. Soon the harmonica earned an unrivaled place in popular music. For a long time Germany dominated the manufacture of harmonicas, but as the harmonica began to be used for American styles of music such as blues, country, and ragtime, manufacturers started up in the US. Many of the earliest recordings in the 1900s featured the harmonic and soon it rose to prominence in the jazz recordings of the 1920s. The inexpensive nature of harmonicas meant that they feature heavily in the ‘race records’ which were made specifically for the black plantation workers of the southern states. It was during this time that some of the greatest innovations in the playing technique took place. 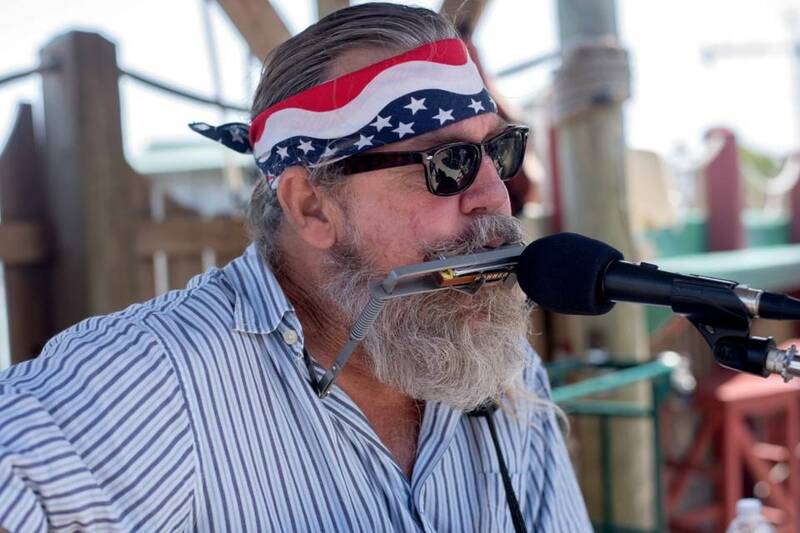 There are a great many different types of harmonica, and in fact, the form of the instrument is so versatile that there continue to be new innovations in its design up to the present day. For the beginner, though it is useful to consider the three most available types. By far the most available, the Diatonic Harmonica is very versatile for such a simple design. It is used by both blowing and drawing in breath, which initially seems to only limit you to 20 notes. 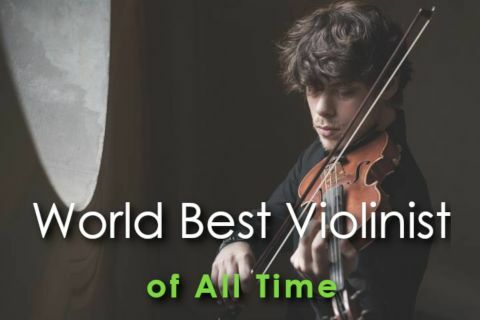 However, many of the great players recognize that with careful modulation and ‘overblowing’ one can bend the notes so that a player can extend this range right up to the full 37 notes available. A later innovation, the Chromatic Harmonica was introduced by Hohner in the 1920s. It utilizes the same construction of reeds as the Diatonic, but places them on top of one another, tuned at semi-tonic intervals. This means a player can play the full range of notes at ease. Dissonance is avoided by using a spring-loaded ‘slider’ which means you can block or mute unwanted black or white notes when playing. 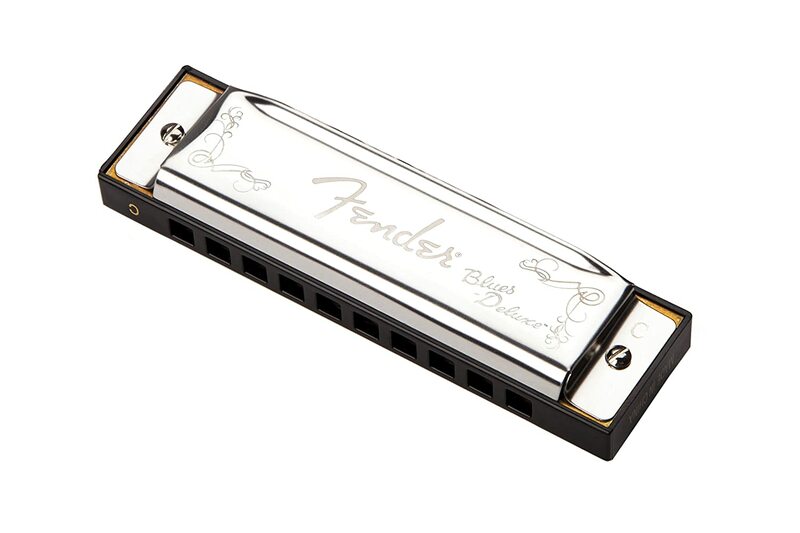 Popular with folk players from around the world, and especially in Asia, Tremolo harmonicas are perhaps one of the most commonly available, outside of the Diatonic. The design sets two reeds at slightly different pitches, resulting in a unique warbling sound. Typically they are based on the older, Vienna-style harmonicas from the instruments beginning. There are many different techniques and styles to playing harmonica, often known as positions. Most players, however, focus only on the 1st, known as Straight Harp or 2nd, known as Cross Harp. The 1st position is playing the harmonica as intended. The means it is played in the classical, Ionian mode. This means, for instance on a C major key Harmonica, that you will be playing a major scale. You can bend the notes on these harmonicas, which will enable you to play in a different mode, though this will take more effort than Harmonicas in the 2nd position. The 2nd position harmonica is set up for the Mixolydian mode, allowing for a minor third in any given key. This style was pioneered by blues harmonica players and continues to be the most popular way of playing blues harp. As we’ve seen above, there are a great many variations on what kind of harmonicas are available. But how does one decide on the best harmonica for beginners? Well, it’s not straightforward. You should first consider what music you would like to play. 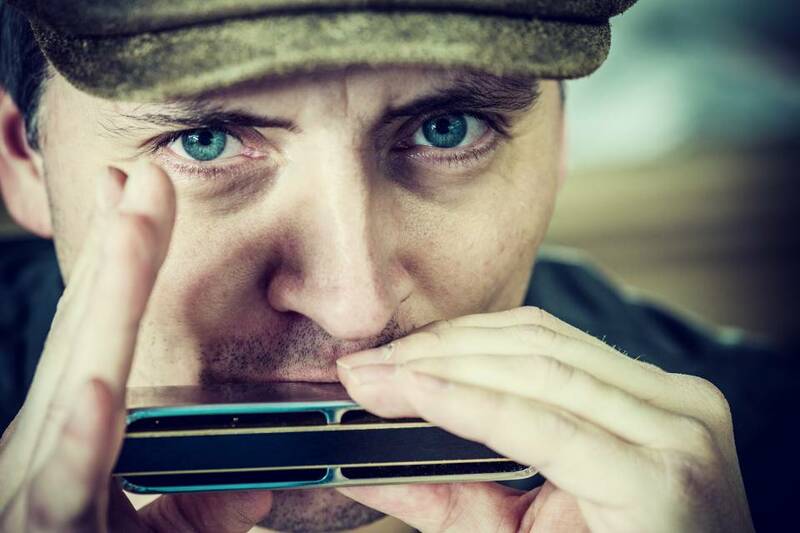 If you plan on starting out as a blues player, you should certainly look for a diatonic 2nd position harmonica as these are designed to work for blues playing. But these harmonicas will not help if you are looking to play folk music, as you’ll need a greater amount of tonal dexterity than that of blues playing. Harmonicas are, for the most part, quite cheap to buy, so it’s definitely worth paying a little more to get some quality materials rather than something inexpensive. An unpleasant fact about playing any woodwind instrument is that they can be quite unhygienic, and therefore susceptible to corrosion, so buy a durable, good quality harp first off, and avoid anything second hand. 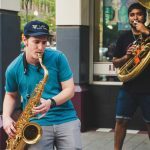 You should consider also whether you plan on playing solo or accompanied. If you plan on playing alongside a piano, then, of course, diatonic 1st position harmonic in the key of C going to be very useful. 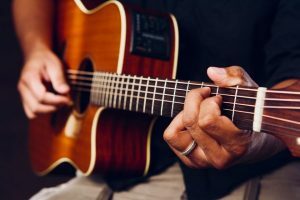 This will also be quite useful to play alongside a guitar for instance, but you should be aware that you may need to learn how to ‘bend’ the note soon on to avoid any unpleasant sounding dissonance. The best and perhaps the most available of Hohner’s offerings, the 560 Special was the first to use a plastic comb. This feature means that there are no complications resulting from expanding wooden combs. It comes in a variety of tunings including the country styled 560C, as promoted by John Popper. It is one of the most copied designs in the field of harmonica manufacture and appeals to both professionals and those seeking the best harmonica for beginners alike. With an excellently crafted, exclusive airtight design, The Hohner 560 Special (sometimes known as the Special 20) offers both a great tone and great bendability. The versatility of the instrument means it is fantastic to play with a bunch of different styles, whether it’s folk, rock, blues or country. It’s often reviewed as having excellent durability, made to last a life time. 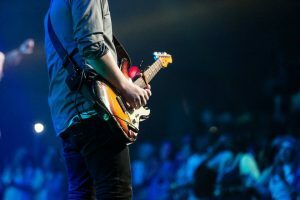 This means it’s also an excellent instrument for gigging, as is known by esteemed players such as Bob Dylan who used his on his 2007 and 2008 tour. In short, its great for the beginner and despite it’s reputation remains affordable and good quality. This is the most popular, and the most versatile of the Lee Oskar range. This harmonica is labeled as a 1st position style but can be used also in the 2nd position to great effect, making it ideally suited for both folk and blues. It feels like a quality instrument that has been made with the utmost care, using excellent materials. With its simple construction and features, it is a stable construction with firm feel to the hand as you play. There is a great deal of comfort in the plastic comb featured on the instrument, which aids playing greatly. The sound is of a very high quality. It has a warm and gentle vibrato in it’s tone. 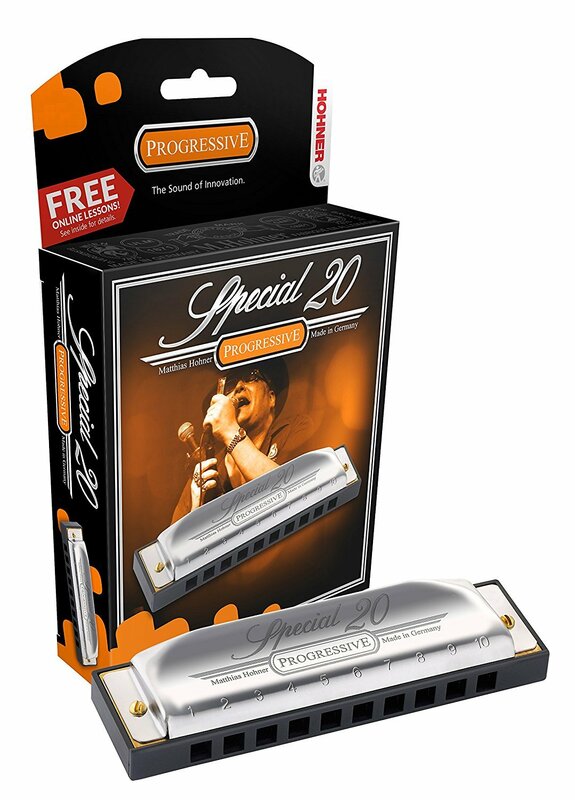 Owing to its volume it’s also a great harmonica for live performance, much like its Hohner counterpart, the Special 20. Though it is quite durable, Lee Oskar harmonicas, including this one, are very easy to get fixed. It is even possible for amateurs to order replacement parts and quite easily repair themselves. A classic from Fender range is the Fender Blues Deluxe. Though slightly less expensive than the famed Fender Blues Deville, the Deluxe offers many of the same features and is a lovely versatile instrument which suits both the professional and the beginner. The 10 hole, diatonic construction offers a classic and bright sound and offers the easy maintenance often synonymous with the Fender brand. Though the harmonica is not very loud, it is well tuned and has a clear, chiming tone. It works very well as a beginner instrument, regardless of the style one wants to play in. The extras that come with it are also of good quality, including a polishing cloth and a red-lined case which allows players to routinely maintain their purchase. Despite the prestigious brand name, the Blues Deluxe is a very affordable instrument that plays very well nonetheless. It is a great gift for beginners, and offers fantastic value for money. The Hummingmate Diatonic Harmonica is a compact tremolo harmonica, offered in the keys of C or Am. It features 13 holes and offers a beautiful, distinctive, natural vibrato. It is well suited to gospel or old world music, with a soulful tone that makes it a pleasure to play. This Harmonica is well regarded as one which is guaranteed to stand the test of time. The tone remains consistent regardless of how often it is played. When it is played there is only a little effort need to produce a sweet, beautiful sound. It is even well thought among mustachioed players, as the construction is firm and without unnecessary gaps. But the best feature of this harmonica is the beautiful vibrato, which makes it easy to play over folk or gospel. It’s assembly, whilst firm and stable, is easy to maintain. It can be taken apart and cleaned or adjusted. Though it may not stand up against more professional tremolo harmonicas, it is a great price for a first time tremolo. Every Swan Silver Diatonic package features copper base and cover plates. Internally the springs are made from a coper alloy. 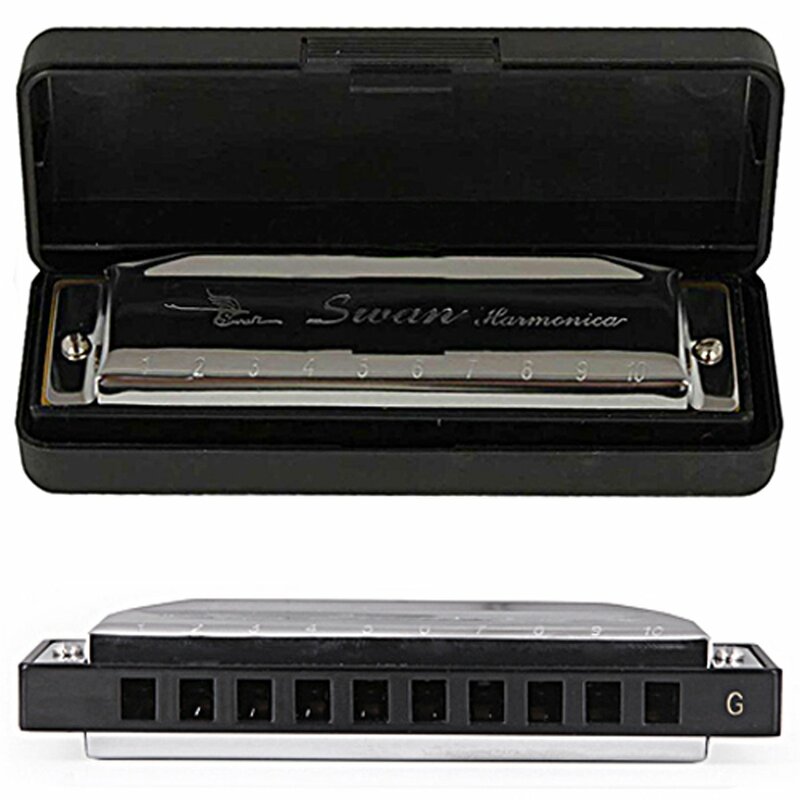 This has allowed Swan to offer the Silver Diatonic at an extremely affordable price – not much more expensive than toy harmonicas but of a much better quality. It’s sound is regarded as of a very excellent quality for blues, with sharp tone that is able to cut through a mix of other instruments. This means its quite a good harp for solo playing. The classic wing-nut case design means that it is very easy to clean. For it’s price, it also comes with some excellent extras. this includes a good quality carry case, and an instruction manual that helps beginners understand maintenance and care, as well as rudimentary instructions on how to play. If you’re looking for a harmonica which offers great value for money, then you should really consider buying one of these. 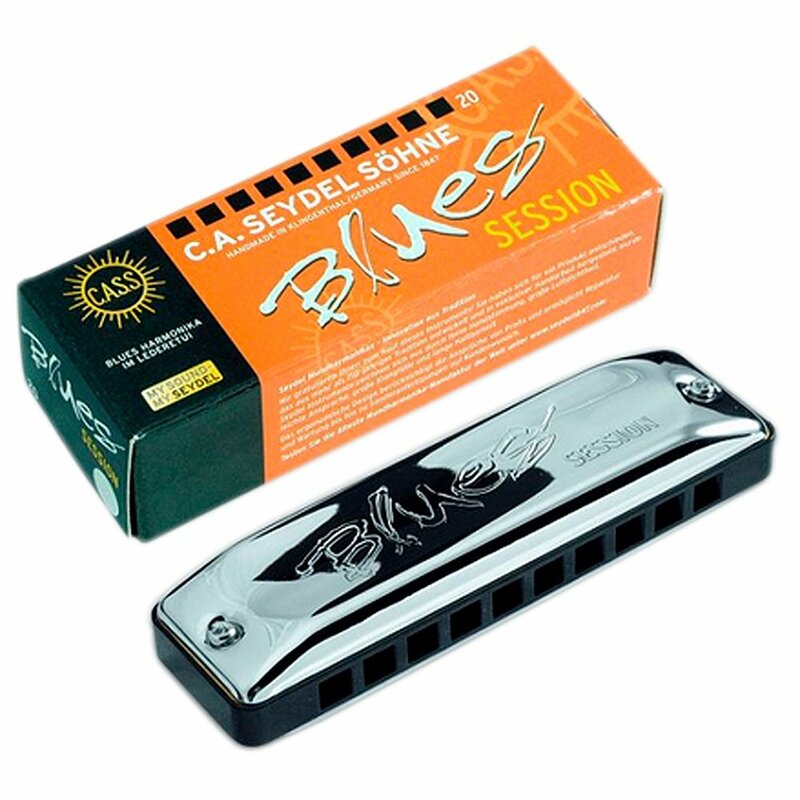 Part of the long standing Seydel brand, the Blues Harmonica is a lovely diatonic. It features and plastic comb within a metal body of stainless steel covers. With brass reeds as standard, it also features German silver reed plates. 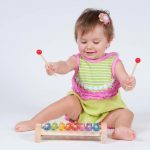 The design is incredibly comfortable as well as to play, which, along with the quality of the materials means it is a serious instrument for serious players. With this in mind, Seydel have offered it in 29 different keys, which means very soon you can find yourself with a collection of quality instruments for any tune. Part of the attraction of the Seydel’s production is that they build everything in house without outsourcing. 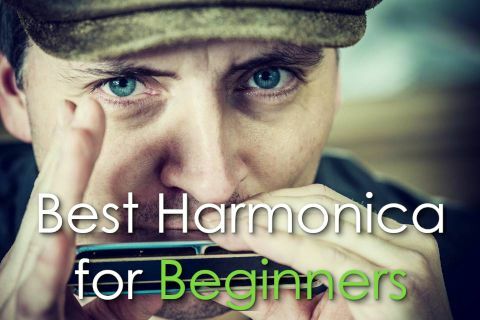 Being built in Germany means that it can command higher prices than other beginner harmonicas, but it should be viewed as a beginner instrument which offers a professional quality. The Seydel Blues Harmonica is a great introduction for this prestigious brand, but will also stand up very well when beginners become professionals. There’s a reason that Hohner are the foremost name in harmonica manufacturing. It is almost a given that every harmonica player worth their salt will have started on a 560 Special, and it’s antecedent the Marine Band, on which it is based. It retains a consistent tone over time and is a staple in any harpists arsenal. Above you have seen only a small selection of the harmonicas available online. 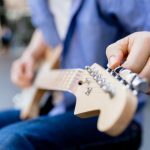 It’s important to be aware that some sellers will offer instruments that are little more than toys. But brands like the ones above have generally remained at the top of list for a century or more and are likely to continue that way. You should maintain a good regime of care, once you’ve decided on which the best beginner harmonica or indeed, harmonicas is for you (for it’s always a good idea to get more than one!) Though these instruments are generally very robust, you should always spend a bit of time cleaning, polishing and drying your instrument, otherwise you risk destroying the reeds inside, rendering it useless. Most harmonica packs, and indeed the ones above, will include dedicated drying cases and cloths. You should try to alternate your harmonicas if you intend to play for long periods, as extended playing can cause damage to an instrument.